I get asked by a lot of people why I have my nails painted when I am not a girl. I will explain why but just to give you a quick background regarding my health, a couple years ago I was diagnosed with IVDD (Interveterbral Disc Disease). It got to a point where the pain became so extreme and I lost my appetite. My human was scared that I wasn't going to make it. I won't talk about it too much right now but the important thing is I got better. You can read more about it here. Anyway, we noticed that everytime I get my nails done at the vet, my back hurts after. We didn't think too much about it at first but noticed that it always happens after having my nails trimmed at the vet. When my back hurts, it really really hurts and I sometimes even scream/yelp in pain. 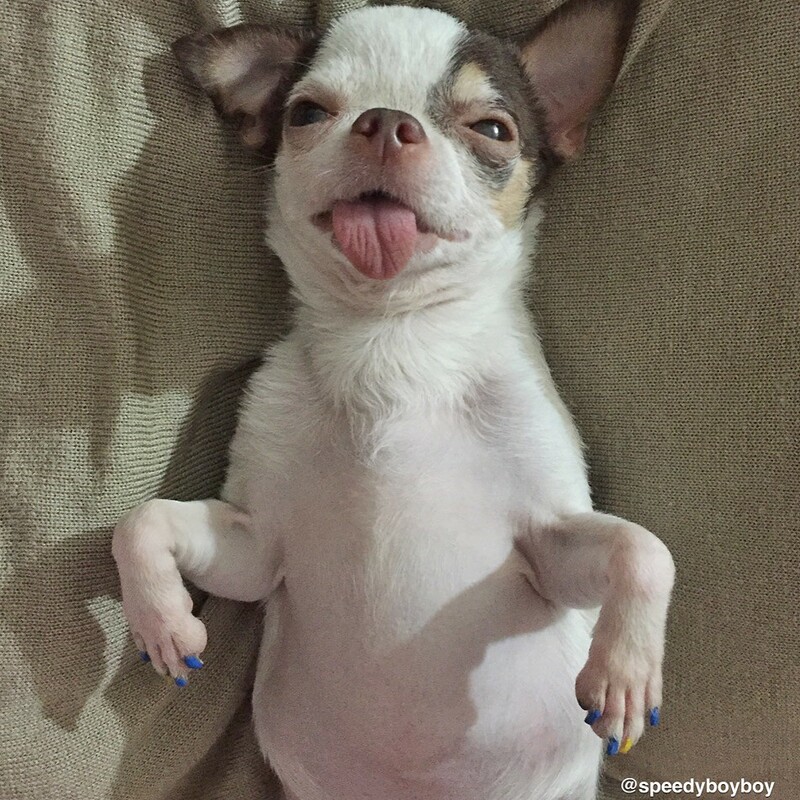 We think that I probably resist too much when the vet trims my nails which eventually leads me to having back pain. My human researched for pet nail trimmers in San Diego and she found out about Peticures by Tess. It's very close to our house and she has a lot of good reviews. The only problem is that she is always fully booked and it took a couple of phone calls before we were able to schedule an appointment with them. I apologize if I haven’t been able to post in my blog for awhile now. 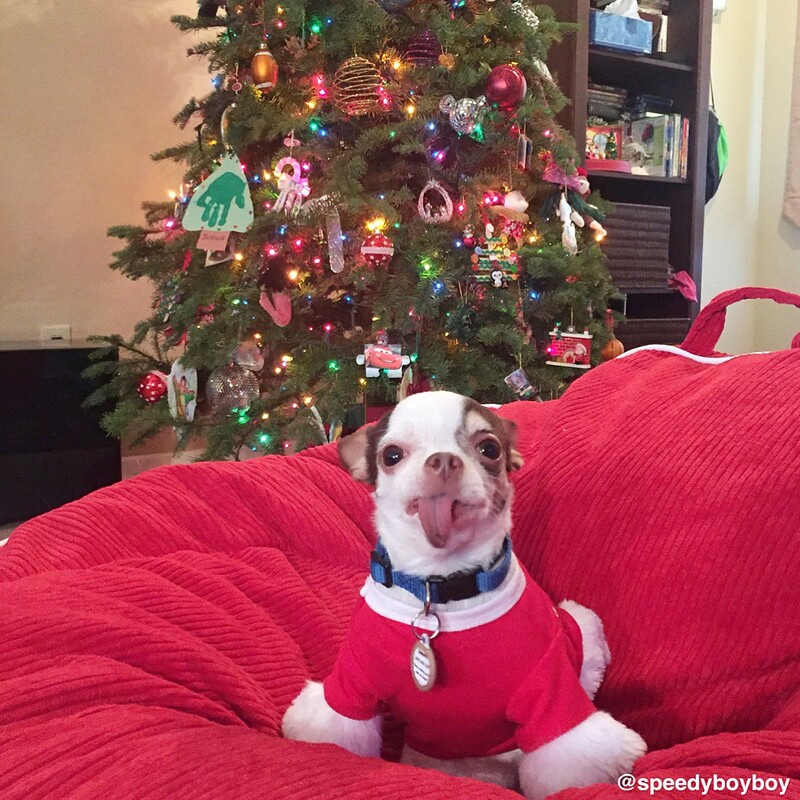 December was a busy month because of all the Christmas shopping and family get togethers. I had a nice time just chilling and spending time with my family. Any food with pumpkin is almost always guaranteed to be super yummy and good for me. 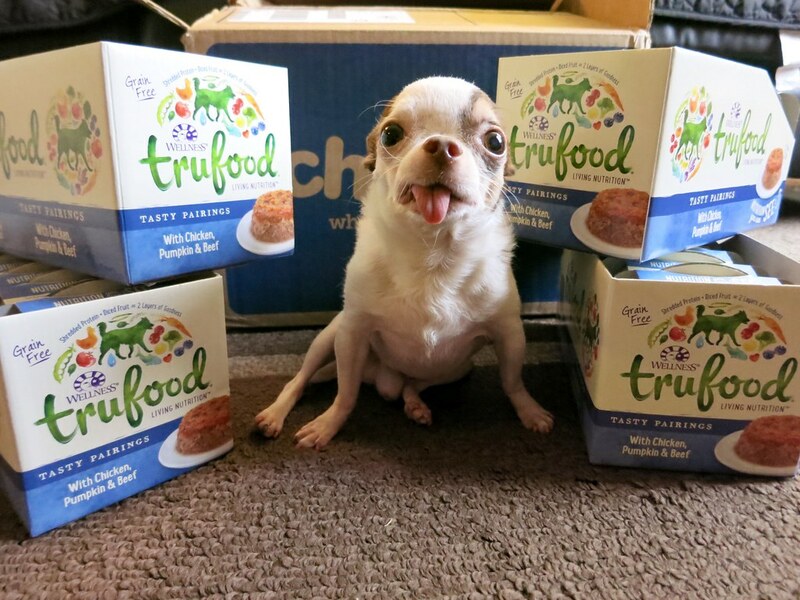 I tried Wellness TruFood Tasty Pairings with Chicken, Pumpkin and Beef and I love it. Who's a good dog? I'm a good dog so I am lucky enough to try these Sojos Good Dog treats from Chewy. 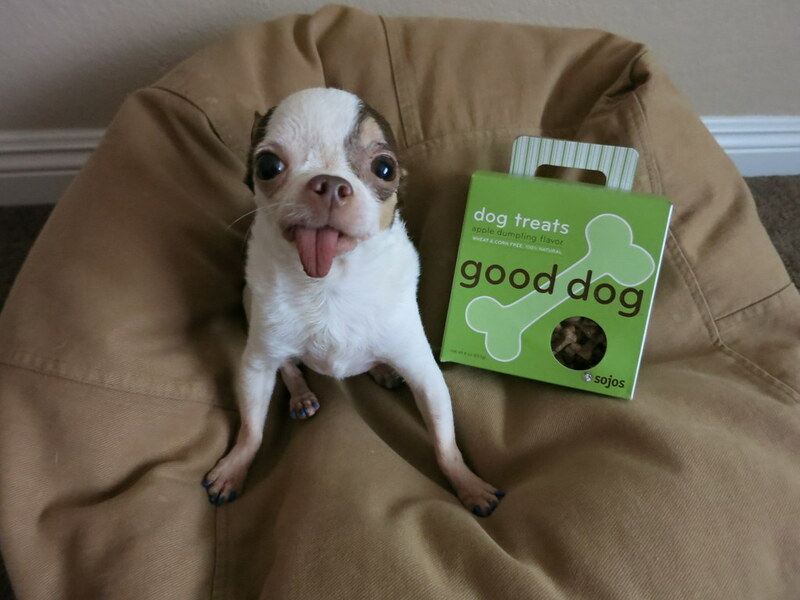 Sojos Good Dog are the perfect treats for tiny dogs like me. If you have been following me on Instagram you may have noticed some of my posts feature books that I am currently reading. My human loves to read and has been reading since she was little. I think that everyone should make reading their hobby. I want to share my favorite books and give a short review for each book. 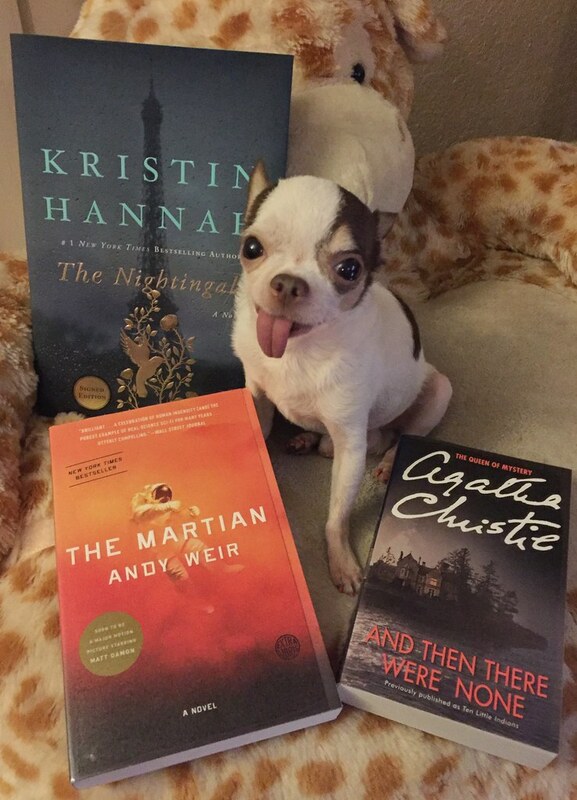 My book reviews for this month will be for The Nightingale by Kristin Hannah, The Martian by Andy Weir and And Then There Were None by Agatha Christie. 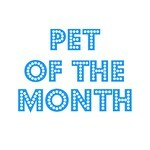 Do you want your pet to be featured? Click the image below for details.